Treat yourself to a complete bundle of all the beautifully wrapped Fairlight Moderns. The perfect gift for you or that special someone. 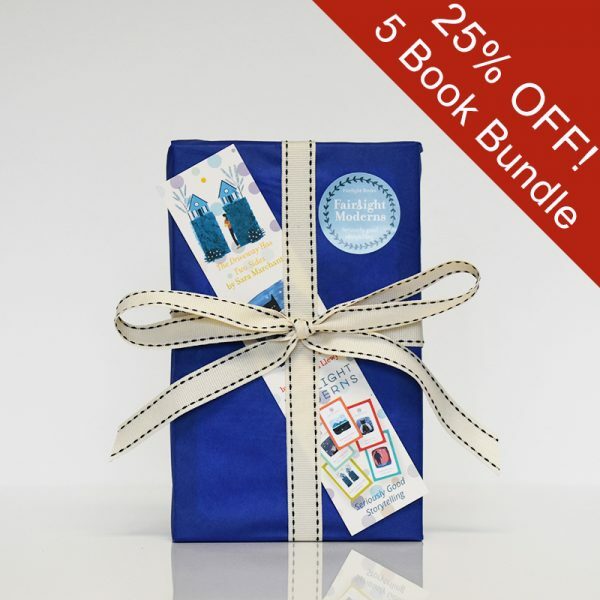 Save 25% on individual book cost. 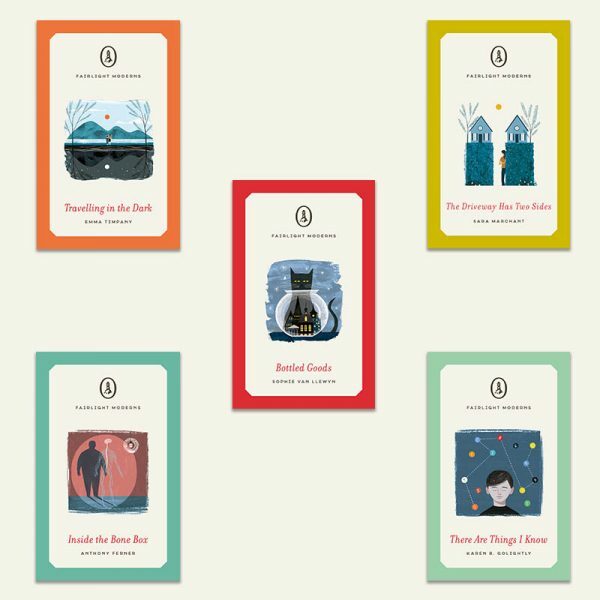 Delve into the realm of novellas with the Fairlight Moderns, five captivating stories from a collection of authors that span the globe. 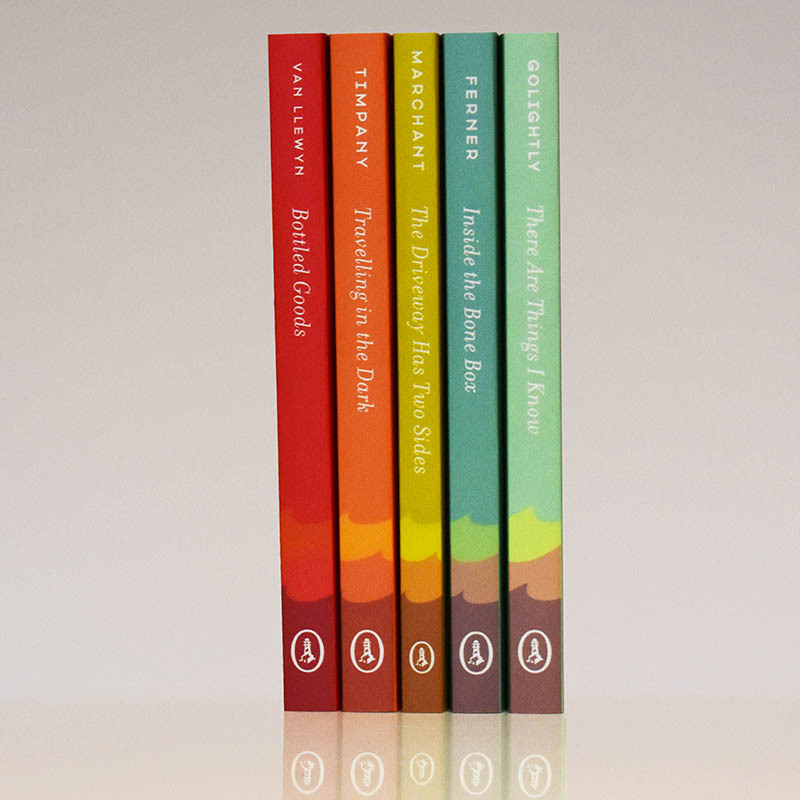 The essential gift for any reader, with their beautiful cover designs these novellas are sure to look stunning on your bookshelf. In high quality paperback editions, their small trim size is ideal for anyone on the move making them the best companion for your daily commutes. This beautiful set of books contains all 5 of the Fairlight Moderns: Bottled Goods, Travelling in the Dark, The Driveway Has Two Sides, There Are Things I Know, and Inside the Bone Box. Every Bundle comes with a Fairlight Moderns bookmark and gift-wrapped making it the quintessential present.